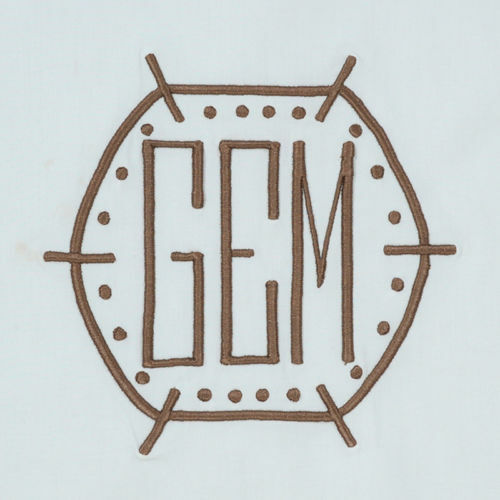 Looking for a monogram style that looks great in one, two and even three letters? The Prescott embroidered monogram is just that. Shown here with one letter and two colors; this style works great on towels and table linens.